Registered Animal & Human Healer, Registered Practitioner for Humans with the Bach Flower Remedies and Chakra Dancing Therapist. I offer complementary therapies for both people and animals. I have been working as a registered mental health nurse since 2002 so bring a professional approach to the complementary therapies with a lot of knowledge, skills and experience that enhance my practice and what I can offer as a complementary therapist. In my nursing roles I have worked across all ages and currently work with children, young people and families. I also have a lot of experience with animals from both a personal perspective as well as doing work with rescue animals, consultations with people’s animals and attending animal healing evenings and events. I am experienced with lots of different small animals as well as cats and dogs. Healing, also referred to as spiritual or energy healing is generally seen as a lovely relaxing experience and helps people and animals to let go of unhelpful and unhealthy emotions and also helps the body to heal, therefore helping to maintain wellbeing. The healing is chakra based and therefore aims to balance the chakras. Whether the healing is for a person or an animal I offer a holistic assessment considering all relevant factors surrounding the person or animal including diet and lifestyle. I offer healing for any reason including just relaxation and boosting wellbeing and also specialise in bereavement healing whether for a beloved companion animal or their owner(s), a person and an animal, or for a person / people without any animals. I have had the privilege of being able to heal many rescue animals, friends and family and their animals and other people. I was inspired to train in animal and human healing as I’d had Reiki before which I thought was wonderful and I wanted to do more complementary therapy training with people but also wanted to do some work and complementary therapies with animals. When I found the Healing Animals Organisation (HAO) course it was the obvious route for me to go down, especially as the HAO do voluntary work in the UK and around the world helping people and animals. I am a trained practitioner with the Bach foundation. The flower remedies work on emotions to balance the body by balancing the emotions. They are extremely gentle and safe to use with babies and children. The system was discovered / created by Dr Edward Bach who was a well- respected medical doctor in England who was looking for something more to help the recovery of his patients by helping their emotional state. His work and system has now spread across the world as the remedies are available in many countries and there are a growing number of practitioners in countries all over the world. There are 38 individual remedies and then there is the ‘Rescue Remedy’ which is the most well known and most widely available and this is a combination of 5 remedies. The Rescue Remedy is good for every day stresses and emergencies but this is not tailored to individuals needs so this is where I come in as a practitioner and / or when you may wish to consider selecting a remedy mix for yourself. I have been practicing with the remedies for some time as I qualified in 2003 and have been able to help people with mental health difficulties as well as people trying to cope with the stresses and strains of everyday life. As a practitioner I use the remedies all of the time myself therefore helping me to maintain my own wellbeing. I was drawn to the remedies many years ago when I was going through a difficult time and couldn’t believe the amazing effects of the remedies and I have been passionate and learning more about them ever since! As well as doing consultations I am available as a mentor for anyone who would like to learn more about the remedies and would like to do the level 1 course as distance learning. This is also available as a face to face taught course if that is what you would prefer. The details and complete pricings are on the Bach foundation website (below). I have a diploma in chakra dancing and creative meditation and I am a training facilitator of chakradancing.co.uk. This is an extension of my healing and holistic skills and I experienced both chakra dancing and a lot of creative meditation during the healing diploma. The programme has further enhanced my skills and given me more techniques to teach clients, whichever main approach I am using. Chakra dancing is an enjoyable moving meditation. The aim is similar to the energy healing that I practise, to balance out the chakras. It is also a great way to be more active and to let go of some common every day emotions and blocks. It can be both energising and relaxing and boost your wellbeing and it lends itself to people of all abilities as you can just go at your own pace. There is no right or wrong way of moving in chakra dancing and it is classed as free style dancing. We do warm ups and cool downs as part of a session. You do not have to have done dancing previously to participate in this. Creative meditation is guided or semi-guided meditation with some relaxing music in the background. Sometimes this might be used alongside chakra dancing if time allows in a session as this can add an additional dimension of relaxation benefits. Alternatively, there may be some elements of creative meditation used in the cool down sections of the chakra dancing. Some of the creative meditation lends itself to being mindful of your body and breathing whilst other parts may help you to let go of things that are not helping you, such as stress. You may also find that it helps you into a more positive focus or outlook. There are various ways that people can benefit from creative meditation and this can be a good way to relax, de-stress and rebalance. Chakra dancing and / or creative meditation can be done individually or as a group session. Please contact me if you would like to discuss this. Chakra dancing is also suitable for children and can be done with people with some level of physical disabilities / mobility problems as long as they have some movement as it can be done in a chair if necessary. 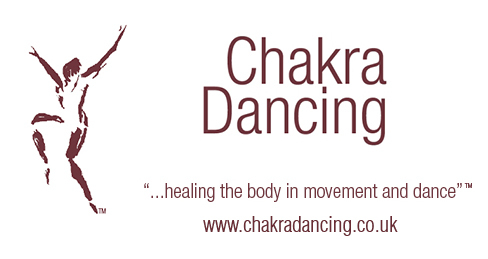 For more information about Chakra Dancing please visit the website of the organisation that I am part of. Jan 17th, Feb 21st, March 14th, April 11th, May 9th, June 13th, July 11th, Sept 12th, Oct 10th, Nov 14th, Dec 12th. I look forward to welcoming you to the class. Please can I ask that you do not turn up to watch a class as this can reduce the therapeutic effect for the participants in the class. If you would like to see some examples of Chakra Dancing sessions please have a look at the videos on the Chakra Dancing website ( www.chakradancing.co.uk). Please note that for both humans and animals I offer a complementary not an alternative service, i.e. if you have a condition or problem that requires medical attention please ensure that you have sought appropriate advice from your GP or another medical professional about this and if your animal requires veterinary treatment please ensure that you book in to see a vet. Please note that I practice as a mental health nurse in community CAMHS West Sussex usually Northern / Mid Sussex and Communities of Practice (COP) East Grinstead. Can I therefore request that you seek an alternative compementary health professional if you / your child have been or are currently supported by me in a nursing capacity. If you or your child are under CAMHS or COP at some point it would be helpful to let them know that you know me in a non nursing capacity as we can arrange for somebody else in the team to see you if you are under the same teams. This avoids any conflict of interest for me and is something I need to have in place in order to be effective and uncompromised in my NHS nursing role. Thank you for your assistance with this. Alternative practitioners can be found at the Cornmill and also on the websites for the organisations that I am part of. I'm insured with Balens for all of my complementary therapy practice with both humans and animals. Please contact me for any queries and prices for human or animal sessions including combined therapies for humans. This includes email and / or phone consultations for Bach remedies if face to face sessions aren't possible or practical. If you are interested in supporting your employees wellbeing in the work place then I can also offer discounts for regular / block bookings and can do shorter sessions for healing or Bach (i.e. 30mins) or for Bach I could do small group sessions to include a treatment bottle for each person. 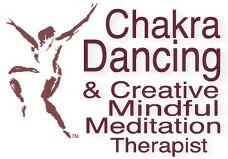 Chakra dancing and creative meditation can both be done in group sessions. I am interested in doing paid work for local charities and again as in the workplace I can offer block booking discount and shorter sessions. I would be happy to also consider this for event days.